Meet our team of dedicated fitness trainers. Our team members are all friendly and experienced. Truth Fitness offer reliable quality in our service. 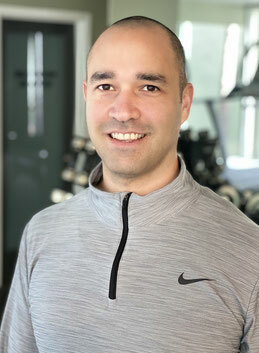 Rafael specializes in core and functional training, sport specific athletic conditioning and corrective exercise. He has experience training a variety of ability levels, ages and goals. Robin has experience with adults with weight loss/ general fitness goals as well as youth athletes. Matt has dedicated both his life and education to the field of exercise science. He enjoys working with a wide range of clients with varying abilities, backgrounds, fitness goals, and ages. He specializes in adaptive physical activity, muscle toning focusing on the core, endurance sports training, and competitive athlete training (experience with soccer, cross country, swimming and diving, and many others).